Is it the uniqueness, informativeness, visual appeal, social shares, tons of backlinks or all of the above? If you think that the greatness of contents can’t be measured and the definition of a great content is subjective then I strongly suggest you to reconsider your views, esp. if the contents you are developing is for commercial purpose. Because if a piece of content is not adding any value to your business bottomline then it is not a great content. You may have a hard time justifying the cost of its production sooner or later esp. if you are spending crazy amount of money in content development and marketing each month with no apparent return on investment in monetary terms. A great content is a piece of content (blog post, infographic, video etc) which is most frequently viewed prior to conversion(s) and/or transaction(s) on your website. I have not made up this formula. 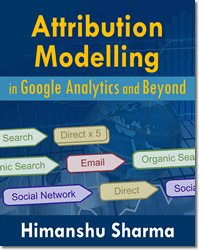 That is how Google Analytics calculates the economic value added by a piece of content to your business bottomline in monetary terms. 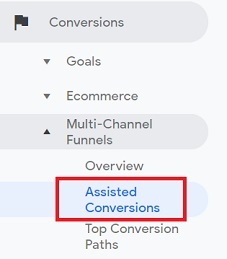 Note: Total Value of the transactional conversions is called ‘Revenue’ in Google Analytics. #1 Ecommerce Tracking or Enhanced Ecommerce Tracking (provided you run an ecommerce website). Your ecommerce tracking should be absolutely free from any tracking issues esp. duplicate transaction issues. #2 Goal Conversion Tracking (where you track all important non-transactional goals like ‘newsletter signups’, ‘form submissions’ etc). 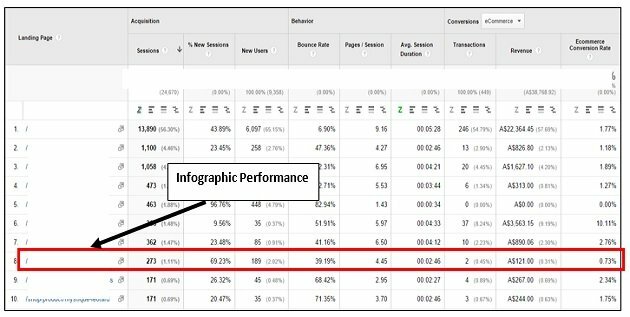 Your goal conversion tracking should be absolutely free from any tracking issues. #3 All non-transactional goals should have correct value assigned to it. For example, if you are tracking ‘newsletter signups’ as a goal conversion then determine what that signup means to your business bottomline in monetary terms. Usually a ‘newsletter signups’ is worth $1. But it could be different for your business. You would need at least 30 days of clean data before you start using ‘Page Value’ metrics for your data analysis. 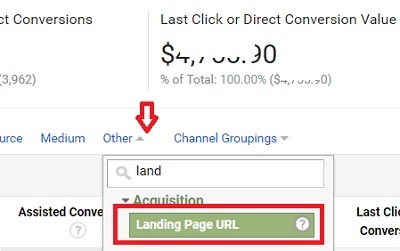 I have seen many analytics accounts where marketers set up and measure irrelevant goals (like ‘pages/visit’) and add random value to the non-transactional goals they are measuring. 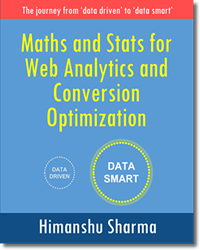 Such practice can greatly skew your website goal conversion rate, page value, per session goal value and various other metrics across several analytics reports esp. 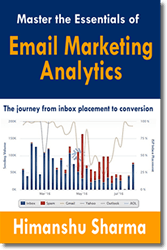 multi channel funnel reports. So, always question how the data is collected in the first place. It is wise that before you measure your content marketing efforts, make sure you are measuring only those goals which are beneficial to your business. Make sure that correct value is assigned to each goal. If you don’t purge your analytics data then you will make wrong business decisions which can result in loss of revenue. #1 If you run an ecommerce website then ‘Page Value’ metric is not useful for you unless you have set up ecommerce tracking for your website in GA.
#2 If you run a non-ecommerce website then ‘Page Value’ metric is not useful for you unless you have set up Goal Conversion tracking for your website in GA and each non-transactional goal has been assigned correct value. 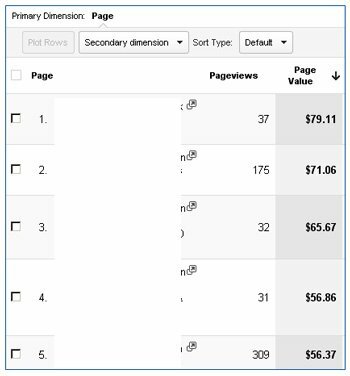 #3 Without ecommerce tracking and/or Goal Conversion tracking, Google Analytics will report ‘Page Value‘ of $0 for every piece of contents. #4 Pages that were least frequently viewed prior to transactional and/or non-transactional conversions, get the lowest page value. 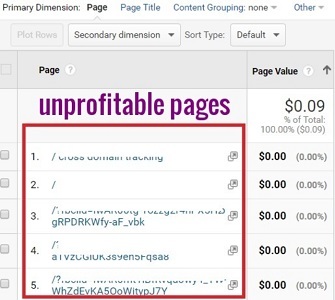 #5 Pages that were not viewed prior to transactional and/or non-transactional conversions, get the zero page value. #6 Pages that were most frequently viewed prior to transactional and/or non-transactional conversions, get the highest page value. #7 Page value is not useful as a standalone metric. It is useful only as a point of comparison. #8 Do not measure the success of a piece of content only on the basis of ‘page value’. Also look at the total economic value added by the content to the business bottomline. Let us understand ‘page value’ through a case study. Case Study: What is my infographic worth? Now once you have published this infographic on your website, you need to measure what your site visitors did after viewing this infographic. 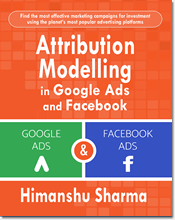 I am not talking about measuring social shares (number of tweets,Facebook likes etc) here or the number of back links the infographic acquired. I am talking about determining the number of people who completed a conversion or made a purchase after viewing the infographic. Let us suppose that your site visitors made a purchase of worth $121 and completed non-transactional conversions of worth $50 after viewing the infographic. 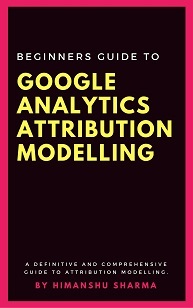 Google Analytics measure this greatness in terms of ‘Page Value’. From this report we can conclude that the maximum value added by a piece of content to the business bottomline is $71. Our infographic added a value of just $1. Since page value is a ranking metric which is useful only when you compare it with the page values of other landing pages, our Infographic has added very little value to the business bottomline when you compare it with other piece of contents on the website. You need to do such type of comparisons when you are measuring greatness /profitability of a piece of content. The page value of $1 doesn’t mean anything on its own. It is a ranking metric which means it is a metric which is useful only when you compare it with others. At this point, you can report the back-links and social shares your infographic helped in generating which improved brand awareness and the SEO down the line and which may help in generating, some indirect sales in the future. You however, don’t really have any solid data to back up the claim that infographic was worth the time and investment. I have a huge content marketing budget. How do I justify my spend? Say your content marketing budget is $25000/month. In that case reporting just social sharing and links is not going to help, if the economic value added by the contents to the business bottomline is very low or worse $0. Reporting social shares and links can be equivalent to adding icing to a cake provided you have the cake. Here ‘cake’ is your report which shows the total economic value added to the business bottomline and ‘icing’ is the secondary benefits like: ‘back-links’, social shares, brand visibility etc. I called them secondary benefits because you can’t easily prove the impact of ‘back-links’ , social shares, brand visibility etc generated by your content on the business bottomline in monetary terms. If you present a cake without icing it may work. But if you present icing without cake then it not going to work. If the contents you are producing are not adding any monetary value to the business bottomline then sooner or later, you will have a hard time justifying the cost of its production and marketing. One quick way to determine all those pages on your website which are not adding any value to your business bottomline is by looking at their ‘page value’. A page value of $0 means they have not added any value to your business bottomline. We often take content consumption and engagement (average time on page, pageviews, number of tweets, number of facebook likes etc) as a measure of success in content marketing. But this content consumption and engagement may be for all the wrong reasons. May be you are developing and promoting contents which have got nothing to do with your target audience, niche or the products you sell. So while you may be getting lot of content consumption and engagement, they are not really adding any value to the business bottomline. So before you declare content consumption or engagement as success, look at the ‘page value’ metrics. If it is a big $0 for every piece of content published on your website then your contents are not adding any monetary value to the business bottomline, at least not in the manner which you can easily prove and you should then seriously reconsider your content strategies. Your content marketing efforts can’t be considered a success just because it got lot of tweets, pageviews, backlinks, facebook likes etc. Off course social shares give a warm, fuzzy feeling but businesses don’t run on warm, fuzzy feelings. So unless you develop contents for personal delight, you need to calculate the economic value added by your contents to the business bottomline. Social media hit is not a guarantee of success. Your content must add value to the business bottomline in monetary terms and you must be able to calculate and show the monetary value added. So if your content marketing strategy is heavily focused on producing such type of contents then I would strongly suggest to reconsider your strategy. Of all the contents I have analyzed so far, I have found infographics to be the least profitable. The chances of their success is generally bleak, cost per acquisition is usually high and above all they can be very costly to produce. The biggest mistake marketers make, is by producing contents which have got nothing to do with their target audience or niche. If you won’t align your content marketing goals with your business goals then you can’t expect to improve your business bottomline. It is as simple as that. This article is in the conjunction with the article: How to measure the ROI of Content Marketing where I have outlined the definition of great contents and how this greatness can be measured in monetary terms. I would strongly suggest you to read that article first (if you have not already) to get the most out of my present article. Today I will take you one step further, in your analysis of content marketing. Say hello to: ‘Profit Index’. Profit index is an index (i.e. database) of web pages on your website which were most frequently viewed prior to transactional and/or non-transactional conversions. In other words it is database of all the profitable pages on your website. Profit index can also be the inventory of best selling product items on your website. The idea behind creating a profit index is to sell what is selling and sell even more of them. A profitable content is a piece of content which adds value to the business bottomline by providing smart and simple solutions to improve customers’ lives and at the same time influence buying behavior. If a piece of content is profitable for your business then it will have the capacity to trigger transactional and/or non-transactional conversions on your website. It will then be, most frequently viewed content prior to transactional and/or non-transactional conversions . Why do you need Profit Index? Since profit index contains only those web pages which have the capacity to trigger transactional and/or non-transactional conversions, you can dramatically improve your conversion volumes if you can isolate them from rest of the pages on your website and solely focus on optimizing them. This can help you greatly in improving the business bottomline, esp. if you manage a website which has got tens of thousands of web pages and you are not sure where to start and what to optimize. So what you need to do is, to find those 20% and focus on them, in order to increase your sales and conversions. Without profit index you will remain busy in optimizing all of the contents on your website, which may or may not produce optimum results in a timely manner. 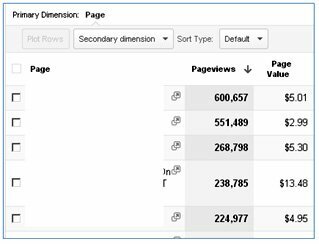 Google Analytics uses a metric called ‘Page value’ through which you can measure the profitability of a piece of content. Page value can also be calculated for group of pages. 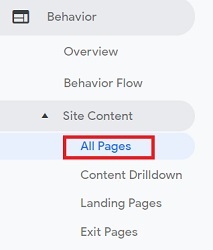 You can find this metric in the ‘All Pages’ report (under Behavior > Site Content in Google Analytics). Every website has got such pages and it is perfectly normal to have such pages provided they made up only a small fraction of the total pages on your website. 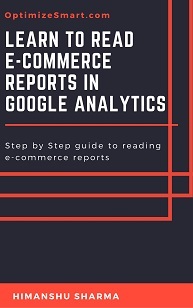 Step-1: Set up all relevant goals, goals value and e-commerce tracking in your Google Analytics View. Otherwise you will see a page value of $0 for every piece of content and you won’t be able to get any value out of your profit index report. Step-2: Make sure you don’t have any data collection issues and you have not set up irrelevant goals or goals with random values. Such data can easily skew the ‘page value’ metric. 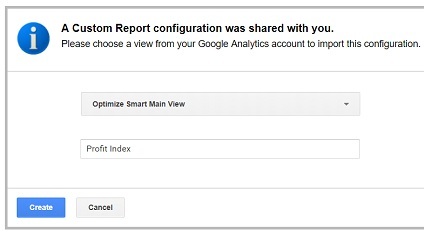 Step-3: Now create a new custom report in Google Analytics, name it ‘Profit Index‘. You can upload this custom report in your GA account from here. Dimensions Drilldown: ‘Page Path Level 2’, ‘Page Path Level 3’, ‘Page Path Level 4’, ‘Page’. Metrics: ‘Page Value’, ‘Pageviews’, ‘Unique Pageviews’, ‘Avg. Time on Page’, ‘Bounce Rate’, ‘Goals Completion’, ‘Goal Value’, ‘Transactions’ and ‘Revenue’. Checkout pages – These pages are always viewed prior to transactions, so they bound to have high page value. 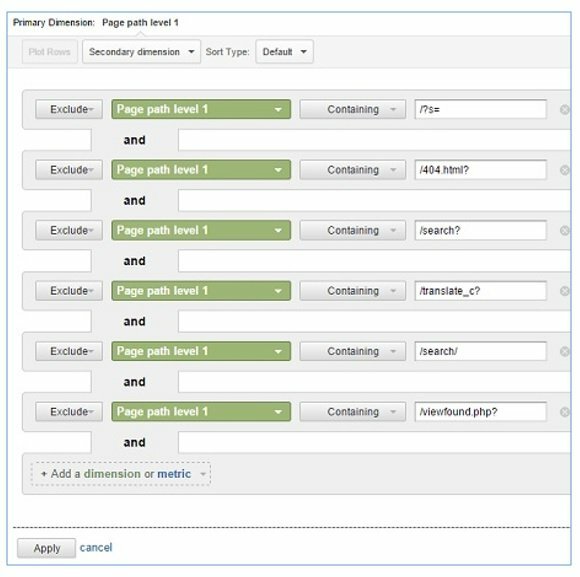 Pages with URLs that contain session ids, visitor IDs and other query parameters which don’t change the content of the web pages. Any web page which has a ‘page value’ of $0 is not adding any economic value to your business bottomline and as such can’t be a part of your Profit index. If a web page is getting less than 30 pageviews a month then it is not worth focusing on at this point. May be later we can target such web pages. In this way you don’t need to set up advanced filters every time you need to read the Profit Index report. 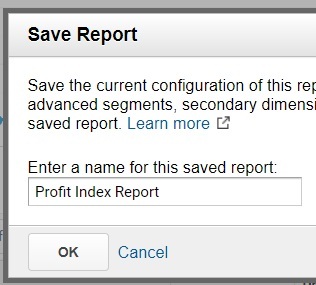 Step-7: Click the ‘Profit Index’ report to open it and then note down the number of pages in the profit index. So here we have got 17 web pages which are in the Profit index. 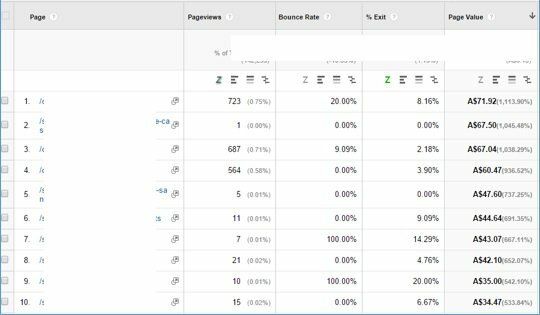 These are the pages on your website which are really adding value to the business bottomline and you need to focus on optimizing these pages first. Profitable content is that content which add value to the business bottomline. You can determine such contents on your website by creating and analyzing the profit index report. The web pages which have got high ‘page value’ are one of the most profitable pages on your website as they were frequently viewed prior to conversions and/or transactions. If you send more traffic to such pages, you can dramatically improve your website conversion rate. 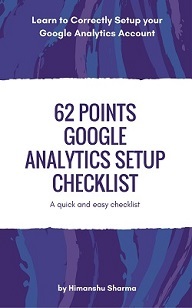 Step-1: Navigate to your profit index report. Start from the page which has got the highest page value and then focus on the page with second highest page value and so on. 1. Do intra-site linking so that more link juice pass to these pages (i.e. frequently link out to these pages from other web pages on your website). 2. Kill all those web page which don’t add any value to the business bottomline. This can help in passing the link juice to the more important pages i.e. your profitable pages. 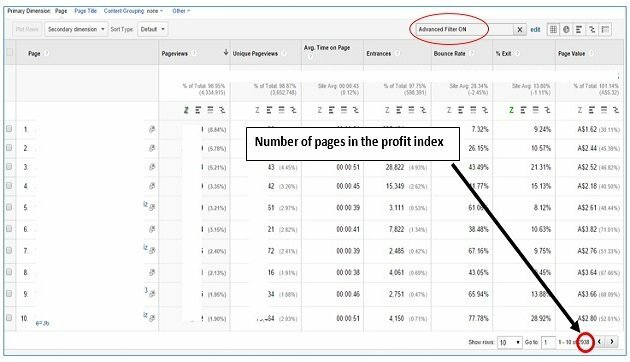 Do not hesitate sacrificing the number of pages in the Google index to improve Profit index. 3. 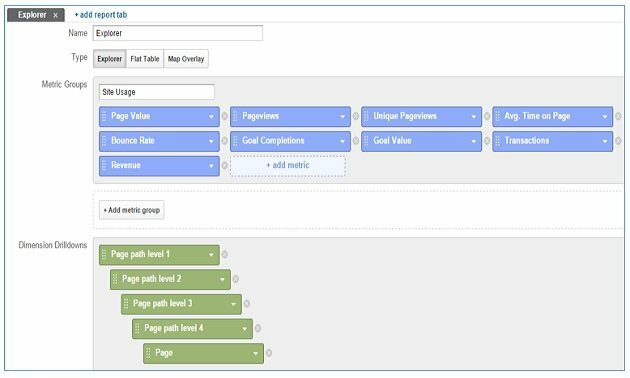 Create and submit a sitemap which list only the pages listed in the profit index (also called Profitable Sitemap). You want to make sure that these pages are easily found, crawled and indexed by Google, as they are the most profitable pages of your website. 4. Get back-links to these pages through link building so that more of these pages can act as landing pages and attract higher traffic than usual. Remember these pages are most frequently viewed prior to conversions and/or transactions. So when they act as a landing page your probability of getting conversions increases by several folds. 5. Keep these pages evergreen by constantly updating them. Google also seem to boost ranking of the pages which contain fresh content. 6. For most profitable pages (pages with constantly high page value over a period of 3 months or more), consider reducing the number of clicks it takes (also known as click distance) to reach to these pages from the home page. You may need to make some changes to your navigation structure. Not only this will pass more link juice to the most profitable pages but it will also make it easy for your users to find these pages easily and in least amount of time. When people land on these pages then they are most likely to convert. 7. Use these pages as landing pages for your marketing campaigns (SEO, PPC, Email, Display, Social etc). The web pages which are getting lot of traffic but have low ‘page value’ have huge potential to generate sales and conversions, provided you optimize them for conversion volume. If you can improve user experience of such web pages, you can dramatically improve your website conversion rate. 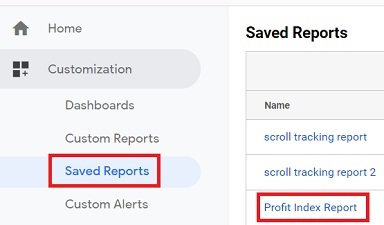 Step-1: Navigate to your profit index report, sort the ‘pageview column’ in descending order and then look for web pages which get lot of pageviews but have got low pagevalue. Does this content provide smart, simple solution which improves customers’ lives and at the same time influence buying behavior? I consider this question as the holy grail of content development and marketing. Don’t let questions like “is this content unique, credible and informative” fool you. While it is all good to have unique, credible and informative contents but they don’t necessarily results in conversions and sales. First and foremost your content must serve your customers and that too in a way which influence their buying decision. If your answer to the above question is ‘No’ then you need to redevelop your contents . #2.2. Reduce the bounce rate of the pages. By reducing the bounce rate, you not only improve the user experience but also the conversion rate. #2.3. Conduct page level surveys, A/B testing and multivariate testing on these pages. Follow the best practices of landing page optimization. The number of web pages in the profit index is the size of the profit index. Larger the size of your profit index, higher would be the number of conversions and e-commerce transactions carried out on your website. 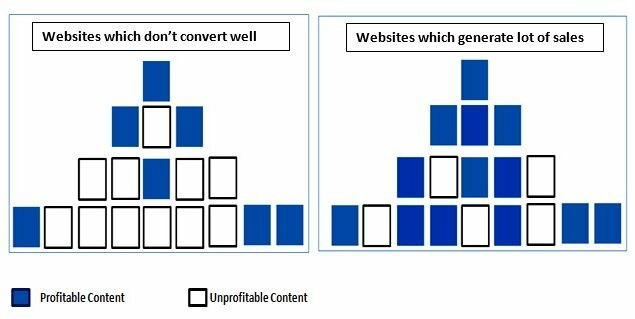 #1 By converting more existing web pages into profitable pages through conversion optimization. #2 By developing more profitable contents on your website. Develop contents which align with your business goals. Find a niche you are passionate about and then just stick to it. Hire a subject matter expert and not a purist. First priority should always be Quality and then quantity. Ensure you consistently produce high quality contents. If you are developing contents on topics which don’t really align with your business objectives then you are just wasting your time and resources. So if you are primary a link builder, you would be better off developing contents only on topics related to link building and content marketing because this is what you sell. Similarly if you are a wedding planner, you would be better off developing contents only on topics related to wedding management. Just a decade ago, I was blogging about everything from keyword research, local SEO, Social Media to Link building. It didn’t help me in building authority in any of these fields. I was writing about topics I am good at but not passionate about. My blog started to get traction only when I found my true passion in web analytics and started blogging about it in every single blog post. If you look around in the digital marketing industry, you can find many people who seem to follow this practice and are considered authority in their respective fields. For example, Bill Slawski is a recognized authority on Patents and he has been writing about patents for more than a decade now. 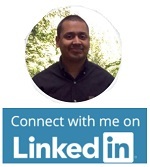 Both Jason Acidre and Jon Cooper are widely known for link building and both persistently write on link building topics. Joost de Valk (yoast) has become almost a synonym for ‘wordpress seo‘ and he also persistently writes on topics related to wordpress. Everywhere you look around, you can find people who are considered authority in a subject field. But you will rarely find anyone who is considered an authority in multiple subject areas/disciplines. In fact it is almost impossible and also impractical for any individual/business, to try to build authority in multiple subject areas. So stick to just one niche. Building authority in a single industry vertical is relatively easy and is something which is possible through hard work, dedication, networking and bit of luck. You also need to show lot of passion to carry on, esp. during difficult times otherwise you will give up sooner or later. So find an industry vertical you or your client is passionate about and then just stick to it. Malcolm Gladwell made an interesting observation in his book ‘outliers’. the people who achieve extra ordinary success in their field spend at least 10000 hours perfecting their craft. Though you can’t follow the 10000 hour rule on behalf of your clients, you can certainly hire people who have been following this rule and have spent at least 1000 hour in perfecting their craft. We call such people as ‘Subject Matter Experts’. We often hire content writers with good language and literary skills to develop contents on ……..any topic. Now the problem with this approach is that at the end of the day, quality of the contents suffers in terms of value added to the business bottomline. Perfect grammar is not going to help you get sales and conversions, value proposition will. Anybody can develop (or dare I say rehash) contents on any topic these days through little research on the web. That’s why internet is jam packed with poor/mediocre quality contents. In order to stand out, you need to demonstrate high level of subject matter expertise. For that to happen, you need people who are expert in their fields. Without the help of the ‘subject matter experts’ there is no way to build authority in any niche. So if you want to build authority in say skateboarding field then you need to hire bloggers who are passionate about skateboarding or hire skateboarders who are also bloggers. I know it is not easy to find and hire such people but then it is not easy to build authority either. And without authority you won’t get high quality back links and desired user engagement and exposure, all of which are required to increase ‘page value’ and eventually the business bottomline. If you have been following me for more than a year or so, you must have noticed great improvement in the quality of my contents. There are three main reasons behind this. First I blog only about one topic now i.e. web analytics. When you are blogging about same topic day in, day out, you are in a do or die situation. You have to come up with new ideas, otherwise you risk failure. Second I follow the 10000 hour rule which has exponentially improved my subject matter expertise. And this expertise reflects in my blog posts. 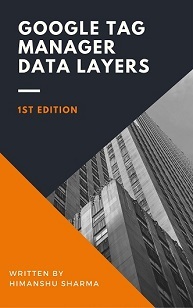 Third I spend lot of time in deciding: how to structure my articles, how to present it to you, so that it is incredibly easy to understand and at the same time instantly useful. I remember, once I spent around 2 months researching on legal contracts for this blog post: SEO Contract | Sample SEO Contract Template. The whole point of telling you about my story, is to reinforce the fact that developing contents which actually drive sales and conversions require huge amount of time and resources. It is not something which can be done in just an hour or two. You can’t expect to move corporate needle or build authority by writing 5 blog posts in one hour or churning out mediocre contents every single day. So roll up your sleeves and get ready to spend some serious amount of time and money on hiring subject matter experts and developing great resources for your target audience. 1. Hire subject matter experts. Only they can bring expertise to your website and ensure high quality contents on a regular basis. 2. Develop contents which provide smart, simple solution to improve customers’ lives and at the same time influence buying behavior. Just developing unique, easy to understand contents is not enough. 3. Create editorial guidelines and content calendar and follow them religiously. Every aspect of your content development and marketing should be planned out well in advance. 4. Constantly measure the performance of your contents. If you won’t measure the performance, you will never know what works and what doesn’t and you may end beating a dead horse. 5. Do more of what works and less of what that doesn’t work. It is not a rocket science. 6. Keep an eye on popular blogs in your niche and get ideas/inspiration from them. Reading can spark lot of new ideas and topics to blog about. The ‘page value’ of your web pages must increase over time. This is a sign of profitable content marketing campaigns. Higher the page value, more profitable your web pages become in terms of generating conversions and sales. 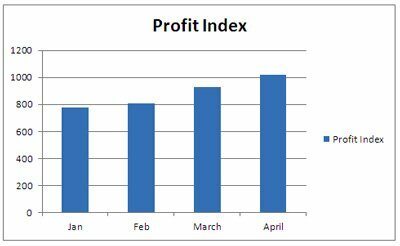 Step-1: Navigate to your ‘profit index’ report and set the date range to the last 3 months. If the date range is smaller than 3 months then you can’t analyze the data trend. Step-2: Select ‘page value’ and ‘pageviews’ as metrics and then look at the data trend. The page value must increase overtime. The size of your profit index should increase over time. Bigger size means more profitable pages on your website and thus higher probability of generating sales and leads. If you correlate the size of profit index with conversions, you would find a strong positive linear relationship between profit index size and conversions volumes i.e. when ‘profit index’ is larger than average, ‘conversions volume’ tends to be higher than average. Similarly, when ‘profit index’ is smaller than average, ‘conversions volume’ tends to be lesser than average. Note: In case of very big websites, the size of your profit index will most probably be a very small fraction (like 1/10) of the size of the pages in your Google Index. This is perfectly normal. But you should always aim to increase the size of your profit index overtime. If you have got tens of thousands of web pages or millions of web pages in your Profit index then you need to segment both Profit index and your profitable sitemap. You first priority should always be optimizing the most profitable pages on your website. So for example, if the 100 most profitable pages on your website have ‘page value’ of greater than $1000. Then you should segment and monitor this high value profit index separately. You may need to create several profit indices based on the size of your profit index and ‘page value’ ranges you want to target. You should target profit indices in decreasing order of their page value range. By segmenting your profit indices you will be in a better position to prioritize your marketing efforts esp. if you are dealing with a very big website. I would also go ahead and suggest creating a separate sitemap for each profit index and prioritize your SEO efforts accordingly. Your first priority should always be to focus on optimizing pages with highest page values because these are the pages which can generate maximum conversions and/or transactions on your website.